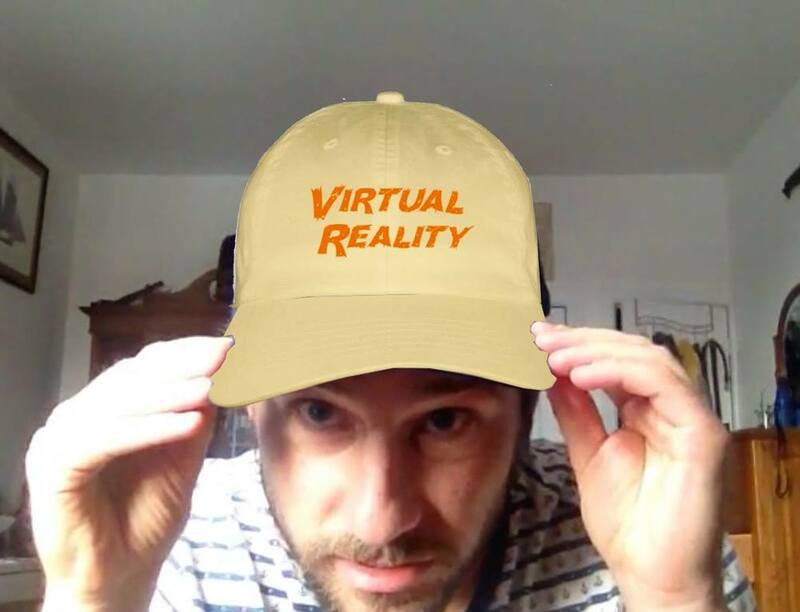 Our first major obstacle was a smear campaign from the Virtual Reality community. This threatened to destroy Movies Brand before it even got started... Let me back up a little bit. You see, I'm not a huge fan of VR (mark my words, if we let VR take over, we're all in deep trouble). We need to stick with simple old movies to be safe. Now, when I invited a VR expert to talk to me on-camera about why VR is any good, he repeatedly used the word "immersive" and gave no other context why it was not dangerous. He then proceeded to mock the sales of movies hats, claiming that if the hat said 'Virtual Reality', there would be tons more sales. I laughed. Of course that wasn't true. But the "expert" whose name was Albert kept persisting and wouldn't leave my apartment when I asked. He asked me if I wanted to make a bet that he could sell many VR hats. After laughing again, I made the bet. Being so confident there would be no interest in the VR hat, I felt secure in making the following bet: If we sold less than 12 VR hats, Albert would be barred from ever putting on another VR headset the rest of his life. This was a great opportunity to knock Albert off his ridiculous life path. But if we sold more than 12 VR hats, which I was sure wouldn't happen, well then I would have to relinquish control of the entire Movies Brand operation. Albert would own Movies Brand.